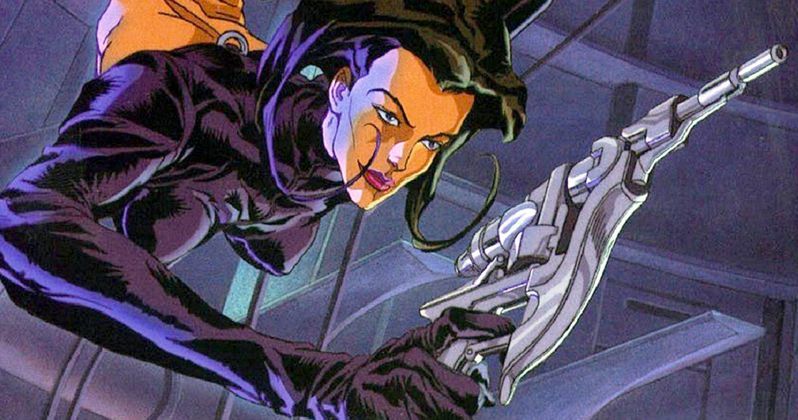 MTV is developing a live-action reboot of its iconic animated series Aeon Flux, bringing aboard Teen Wolf creator Jeff Davis to write the script and serve as an executive producer. Also serving as executive producer is Gale Anne Hurd (The Walking Dead), who was not connected to the original animated series, but she did serve as a producer on the 2005 live-action theatrical reboot, which starred Charlize Theron as the title character. This series is just the latest MTV show from the past to be revived for a reboot, with the network currently developing revivals of Jersey Shore, Yo MTV Raps, Total Request Live and The Real World. Aeon Flux started out as as a series of six experimental animated shorts that aired during MTV's "Liquid Television" animation showcase in 1991. Those shorts were followed up with five additional short-form animated episodes in 1992, and in 1995, MTV ordered a 10-episode season of half-hour episodes as its own stand-alone series. The show was created by animator Peter Chung, and is set in the year 7698, in the aftermath of a global environmental crisis that wiped out nearly the entire planet, except for two border cities in what was previously referred to as Eastern Europe. The series centered on the title character, who hailed from the nation of Monica, who was a skilled assassin and acrobat. She goes on covert missions to infiltrate the neighboring country of Bregna, which is lead by Trevor Goodchild, who serves as both her nemesis and lover. Denise Poirier voiced Aeon Flux with John Rafter Lee voicing Goodchild, roles which were portrayed by Charlize Theron and Martin Csokas in the 2005 live-action thriller. That film, which also starred Frances McDormand as Handler, Jonny Lee Miller as Oren Goodchild and Sophie Okenedo as Sithandra, earned just $25.8 million domestically and $52.3 million worldwide, from a $62 million budget. There is no indication yet as to whether or not original series creator Peter Chung, who went on to work on The Animatrix and Rugrats, will be involved in this live-action reboot, or if any of the creative team from the live-action reboot will return, such as director Karyn Kusama and writers Phil Hay and Matt Mandredi. This new report also reveals that MTV is getting ready to launch a new studio entirely devoted to monetizing the rest of its library of properties. This approach is similar to Paramount's new brand known as Paramount Players, that develops properties based on its film library. This project keeps Davis in business with MTV, after six successful seasons of Teen Wolf, which ended its run last year. Davis also wrote a new version of War of the Worlds in 2016, that is said to be still in contention for a series order at MTV, and he's also working on a brand new incarnation of Teen Wolf for MTV, which is said to be a new anthology series that could potentially bring back characters from the original show. The Hollywood Reporter broke the news on this new Aeon Flux live-action series.